I can't believe it's 5AM as I'm typing this. My sleeping hours has really been screwed over with and my appetite is on a weird strike so that's that. Now, chia pudding! I don't see why anyone shouldn't love chia seeds because they're great for almost everything - smoothies, smoothie bowls, cereal, granola, salad and the list goes on! 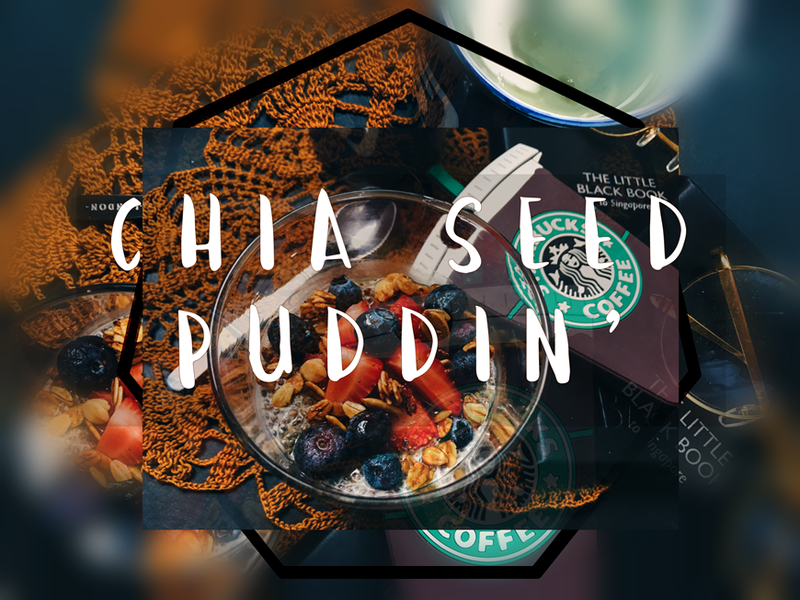 Chia puddin' is the best to-go breakfast really. Whether you're in a rush or feel for a snack, they're always a great option. They can even last up to 3 days! Easy breezy beautiful, haha! ^ Uhm, I'm pretty sure I meant any fruit of your CHOICE. The steps are really way too easy! You literally just mix the ingredients for the base together. Just make sure that when you pour your milk, the level is a little bit higher than the chia seeds. As for the cacao powder or cinnamon, you can add as much as you want but mine's always a pinch. Leave it overnight or three hours in the fridge. 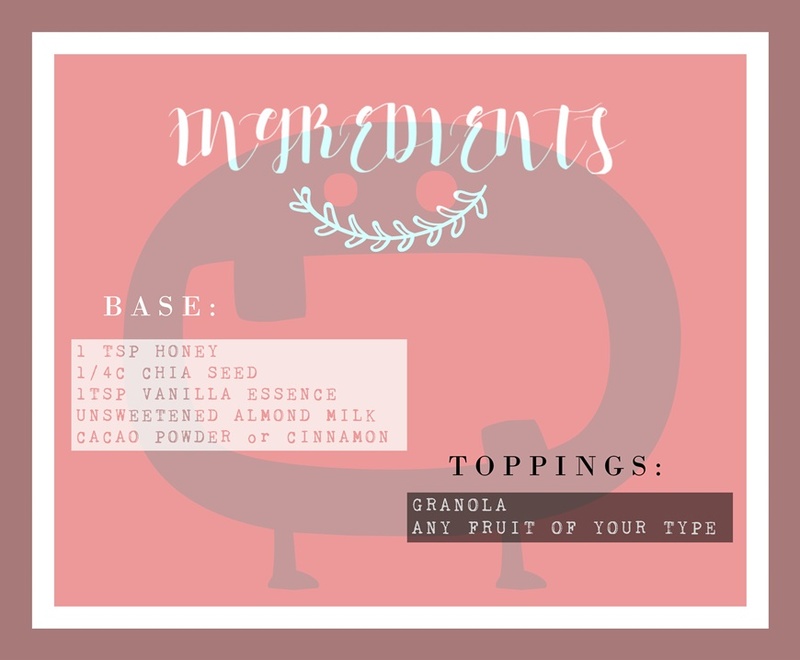 Then when you're ready to snack on this, just add the toppings of your choice! Well, I hope you guys enjoyed this quickie recipe! I'm gonna die on my bed now. It's already 630AM.